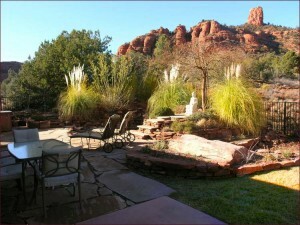 Looking for a Sedona vacation rental while you’re visiting? If so, there are a few things to consider when looking for a Sedona vacation rental. Sedona vacation rentals come in all shapes and sizes from cabins and timeshares to bed and breakfasts, furnished homes and luxury accommodations. Here are a few tips to make your rental experience a joyful one. 1. Use a professional service with a good reputation. Your vacation is not the time to be messing with details that someone else should be taking care of. Use a professional vacation rental company who has a reputation of taking care of the details for you, such as HomeAway Vacation Rentals or Vacation Home Rentals . 2. Find a rental that has a high user rating. The property itself will also be very important to your stay. Pictures can often lie, so after taking a look at the pics, read carefully what other people who have stayed there have to say about the property you’re interested in. 3. Be sure to match the type of rental you choose with the type of vacation you’d like to have. A cabin for six may feel like the most cost-effective choice, but if your travel mates are not serious nature lovers, they may be more comfortable in a high-end rental right next to shopping and dining instead of that lovely trek through the forest.